Blood Reach is a bustling Blood Raider hub. Pilgrimages are a sacred rite of passage in many cultures, and important in almost all others. There are certain places, certain sites that are hallowed grounds for many cultures, for varied reasons. It’s not that you go there to witness what is happening at the site now. But there is something ineffable to visiting a place that has had such a marked impact on who you and your people are. Even though all that may remain are ghosts and stories, people still flock to these sites to remember what had been. Religions, of course, are particularly susceptible to deeming a site holy, but any culture seems to have their sacred areas. 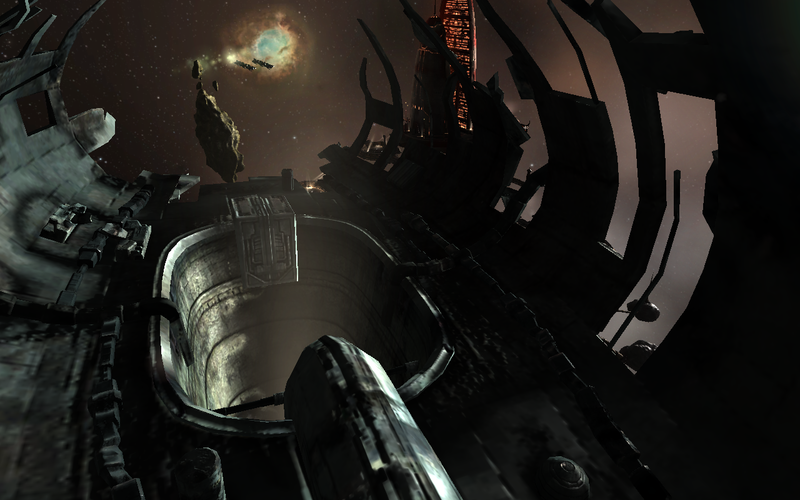 Even capsuleers have been known to make a journey out to the Eve Gate or Steve, to see where we came from. And while there, we reminisce about what it means to be us, what it is that ties us together. In traveling to these sites, we journey not just to a physical destination, but also to a psychological one. 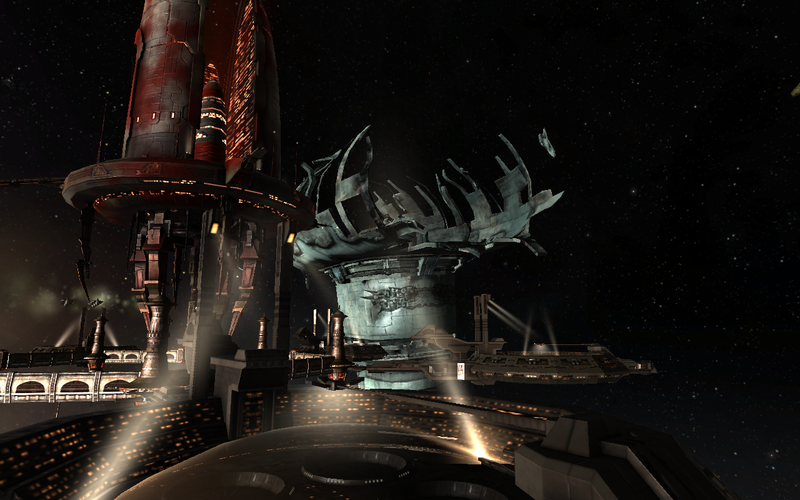 Blood Reach is a fortified outpost run by the Blood Raider organization. Its purpose is to house pilgrims coming to visit the holy site in OK-FEM. 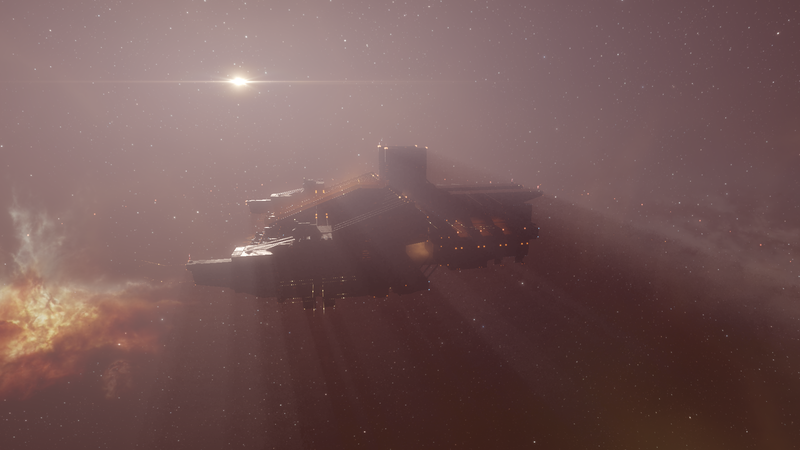 In recent times it has also served as a base of operations for Blood Raider forces sent here to find and eliminate Amarrians who come to the constellation to sabotage the Pagera Manton. 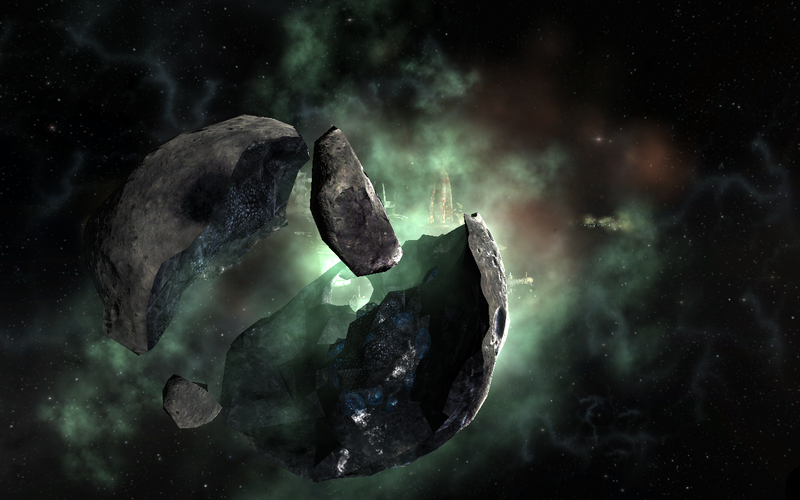 A mined out asteroid sits nearby. 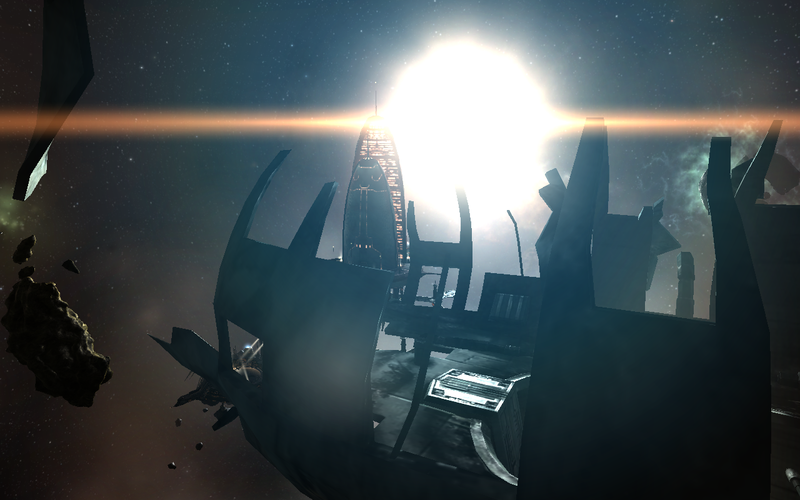 Blood Reach is a bustling spaceport in the heart of fortified null sec. Despite being owned by capsuleers, the Raiders have carved out a substantial niche to call their own. The site is dominated by two massive structures. The first is your traditional Blood Raiders cathedral. Based off of the classic Amarr design, the colors have been changed to a bloodred to reflect the, well, you know, love of blood. But opposite that, an even larger structure is under construction. Although for now only part of the superstructure is complete, the design hints at a station that will dwarf even the current cathedral. Presumably meant to house the faithful and those passing through, for now the structure’s skeletal appearance gives a rather unnerving feeling to an already-unnerving area. 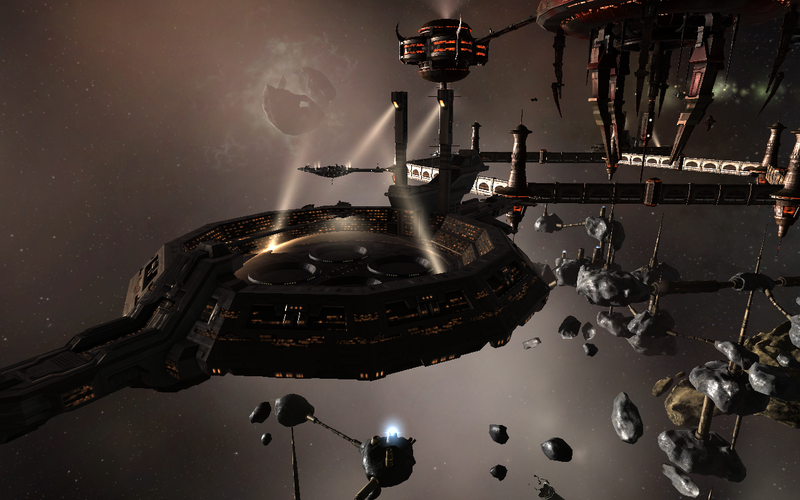 Beyond the two large stations, a variety of smaller structures can also be seen. Off to one side, a set of six bunkers can be found. Presumably meant to act as temporary housing for wayfarers until the larger structure is complete, their sleek Gallente stylings actually stand out quite a bit compared to the rest of the site. But around the cathedral is where the bulk of activity can be found. Although the cathedral sports a number of docking slips, the most notable thing here is what is rather untactfully called the “bloodsport arenas.” These are massive stadiums, whose tops are covered in clear materials. Inside, I could see hundreds, if not thousands of spectators surrounding a playing field that was already coated thick in blood. Despite blood being sacred to the Raiders, they seemed to be spilling an awful lot of it here in the thrill of competition. 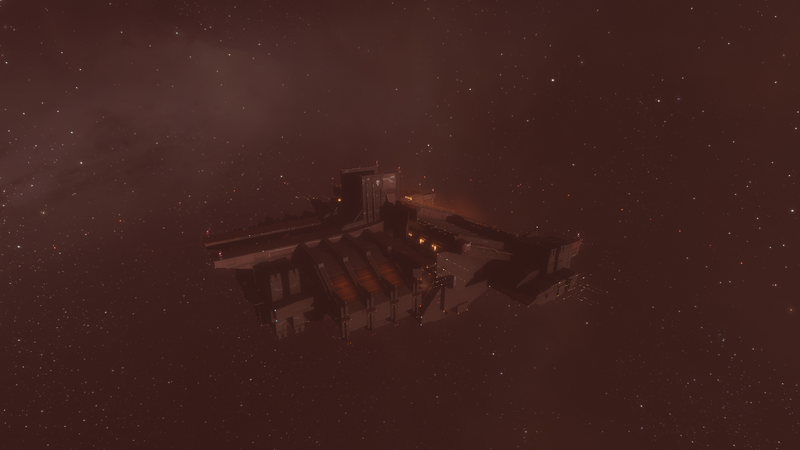 Right next to the arenas, a number of slave pens could also be seen. 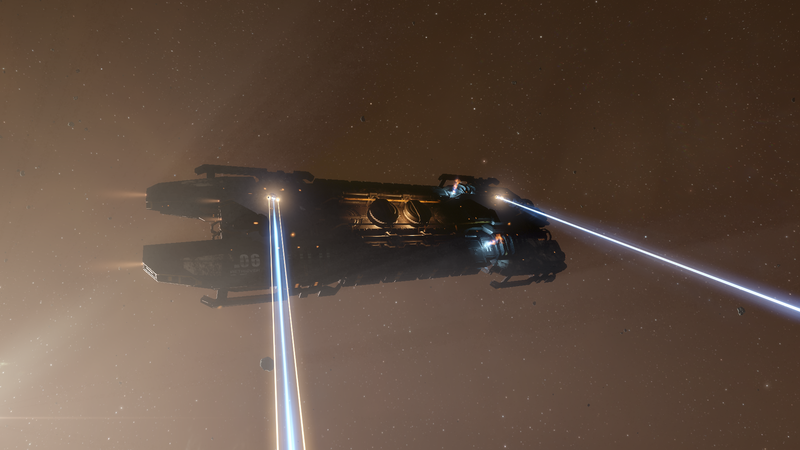 It was times like this that made me wish I didn’t fly an essentially unarmed Tengu. I didn’t spend long here. 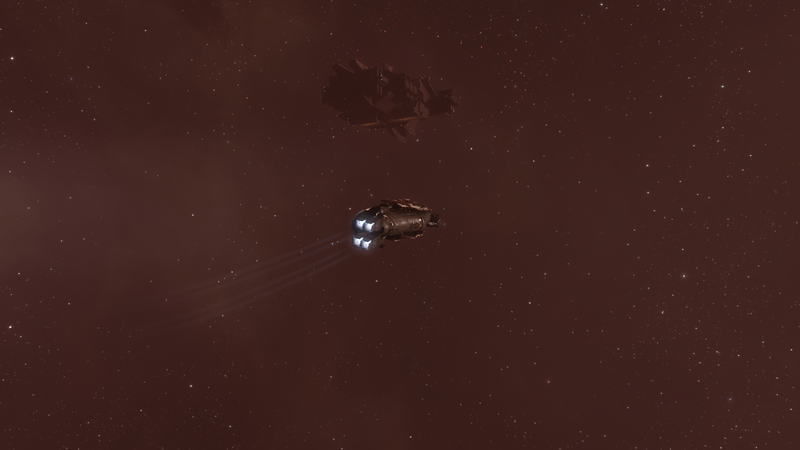 The Blood Raiders worry me more than any of the other factions in New Eden, with the possible exception of the Sansha. Religious fervor combined with cannibalism never seems to end well, and I couldn’t even begin to understand where they were coming from in their philosophy and theology. Still, even they are humans (though of a very deviant sort, I’ll concede), and like any humans, they need a place to call their own. 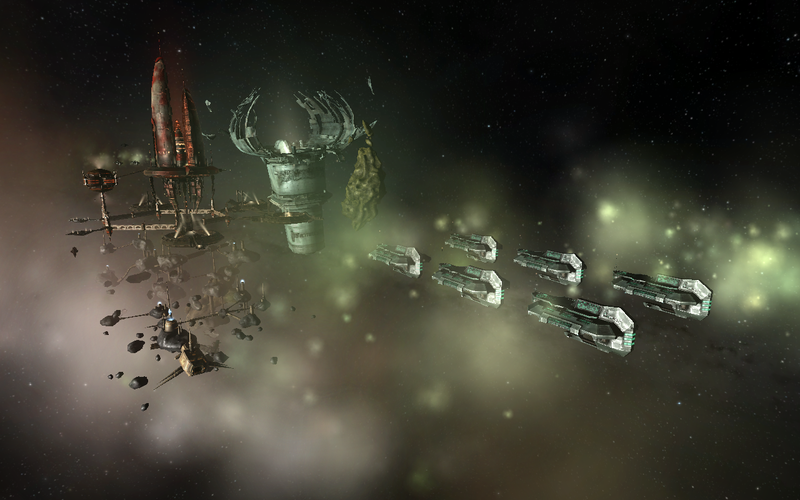 Blood Reach and the nearby Pegara Manton appear to be precisely that. 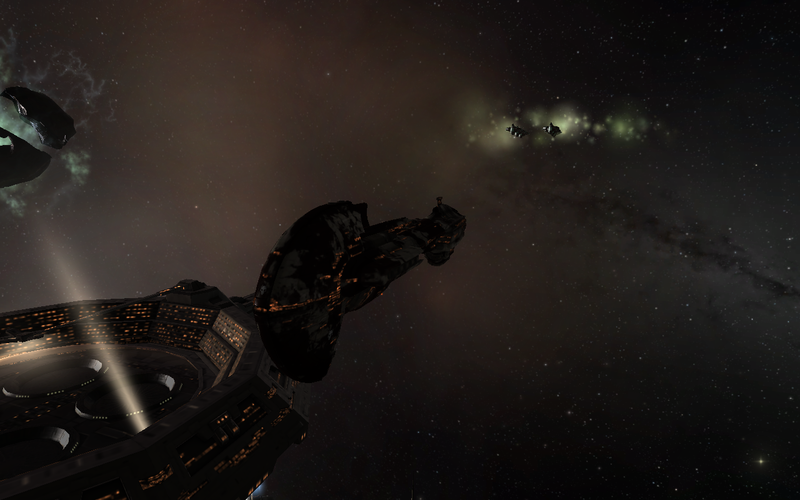 And so the faithful Raiders will continue making their pilgrimages, just like the devout have for thousands of years. Potential Hazards: CX8-6K is deep in 0.0 space, involving jumps across a number of different alliance territories, many of which may be operating under “Not Blue, Shoot It” protocol. 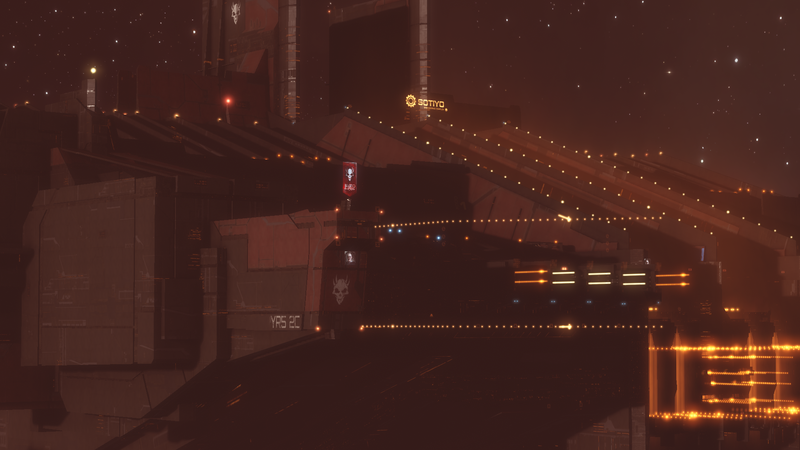 Gate camps (including warp interdiction bubbles) can be found often in transitioning from 0.0 to high security space, as well as on other gates. Caution is advised. Additional Notes: This site is a COSMOS site, and agents are available if you have the proper standing with the Blood Raiders.